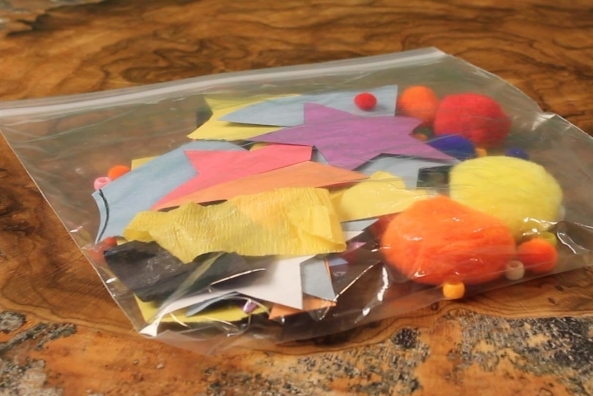 Don't throw away your craft scraps! 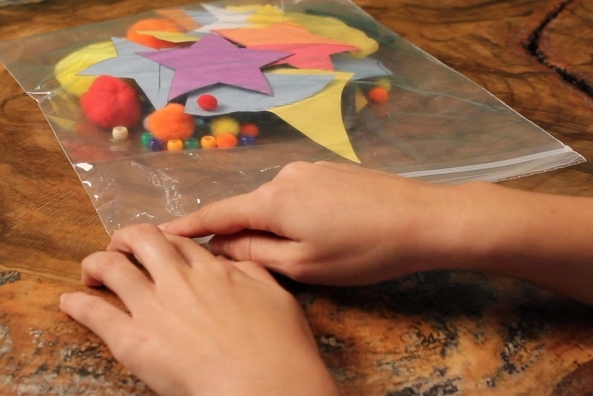 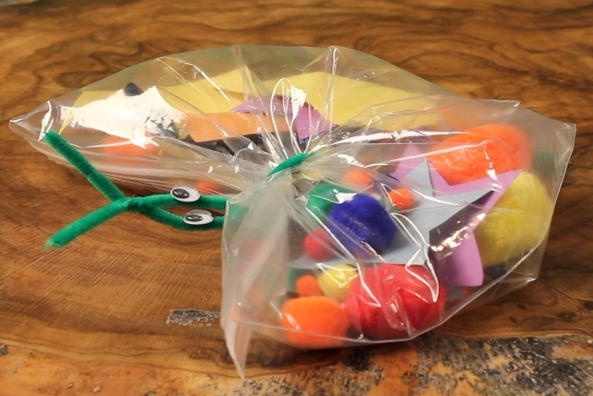 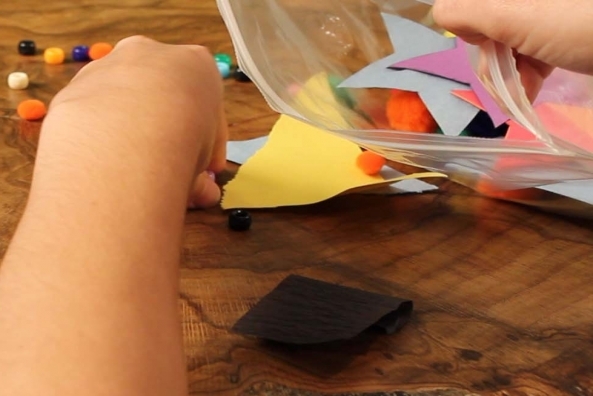 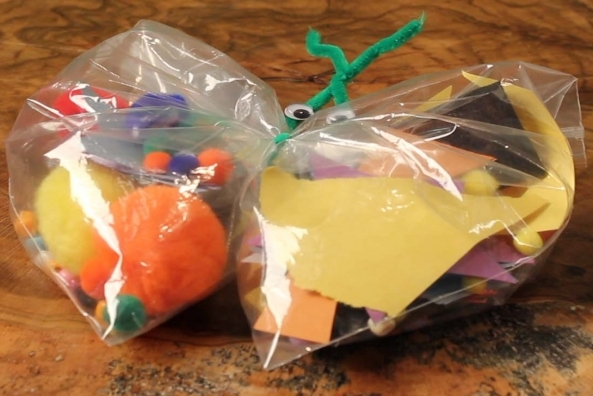 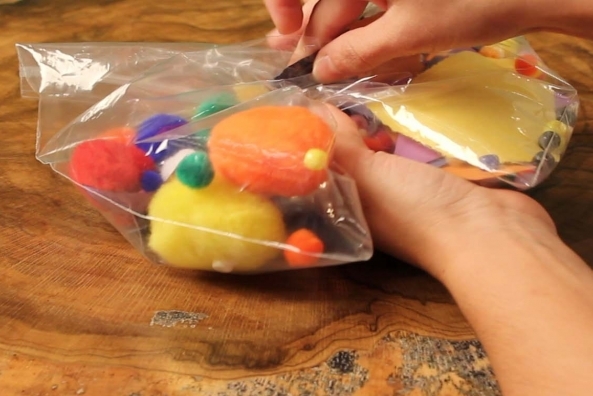 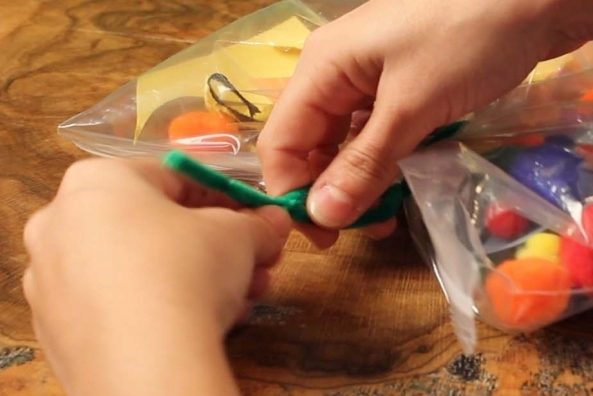 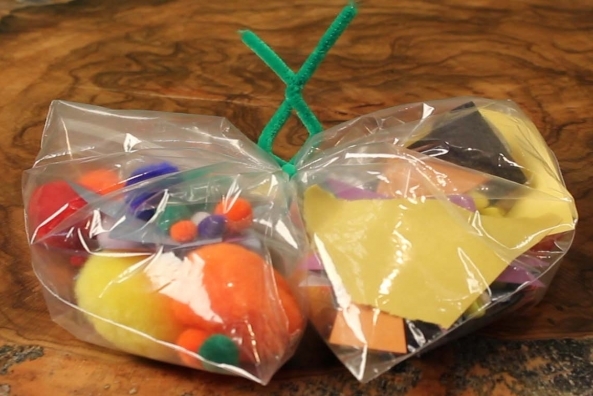 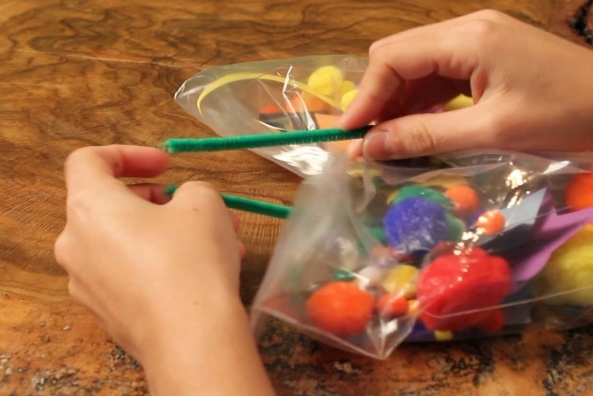 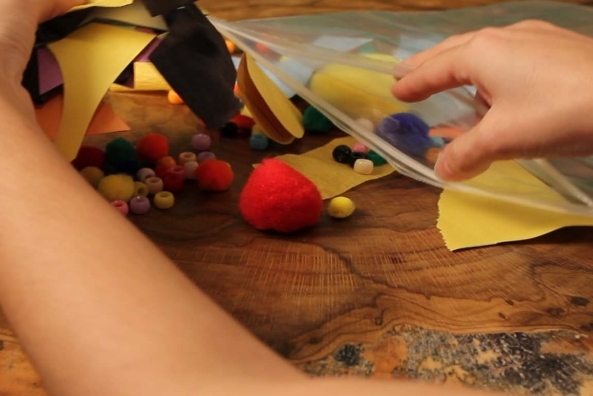 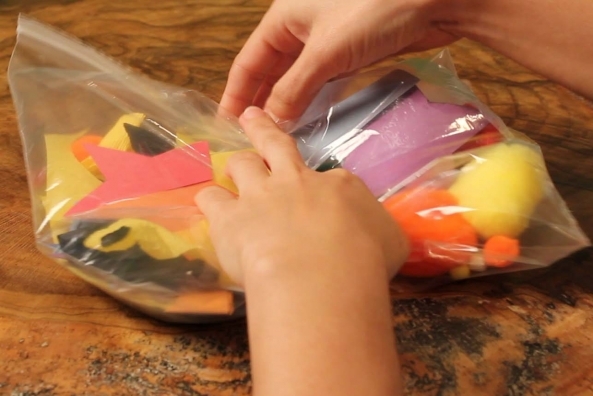 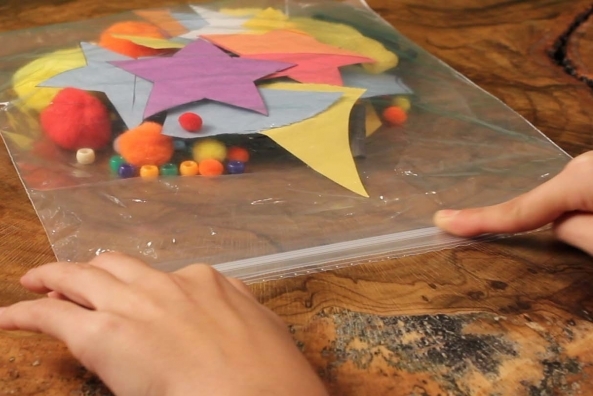 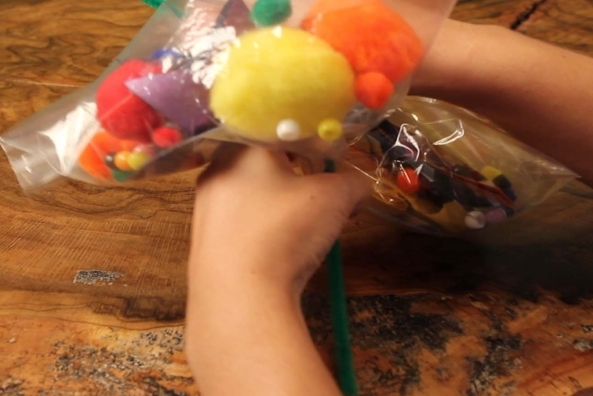 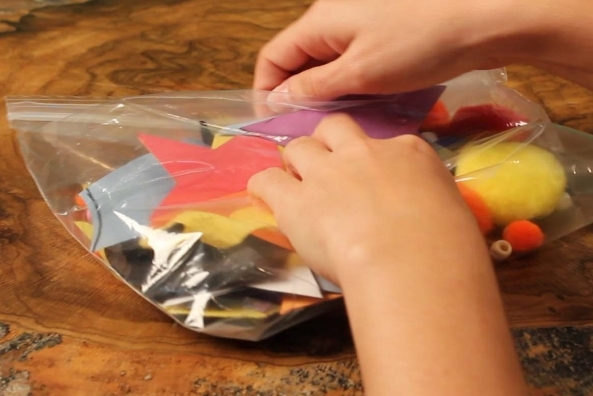 Put them in a bag and turn your scraps into a beautiful butterfly. 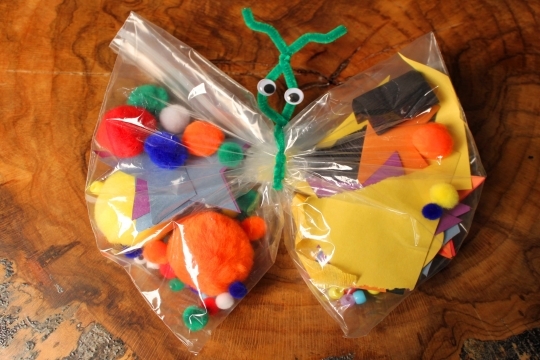 What do butterflies do at night? 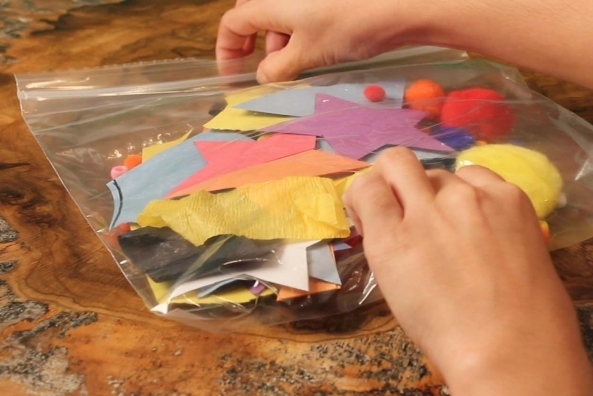 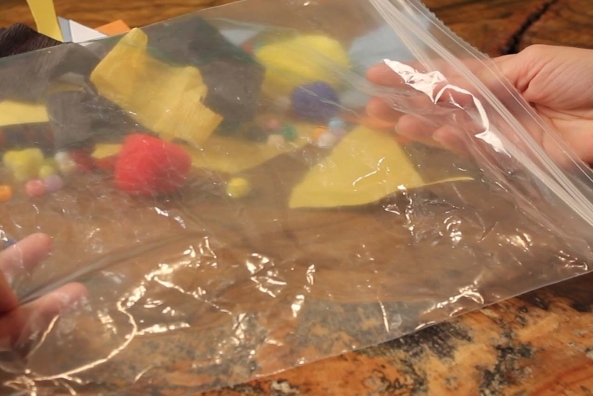 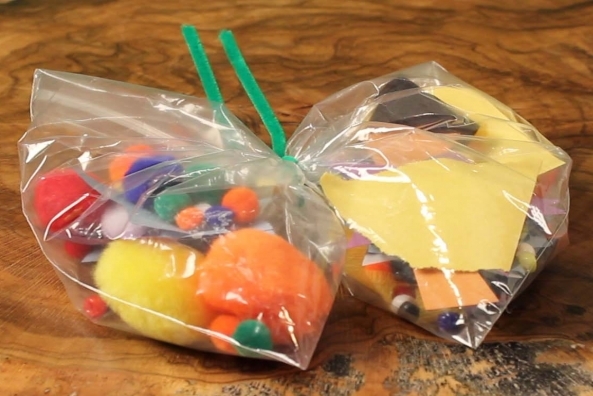 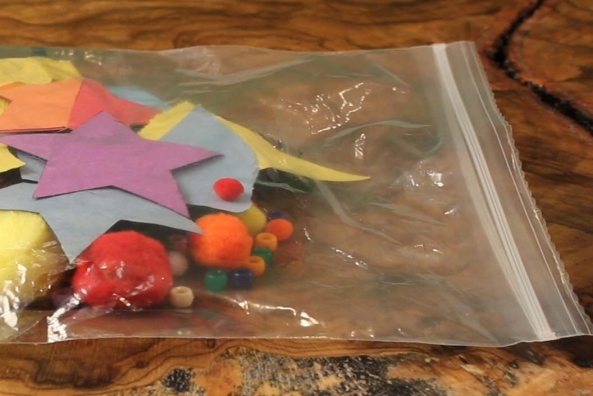 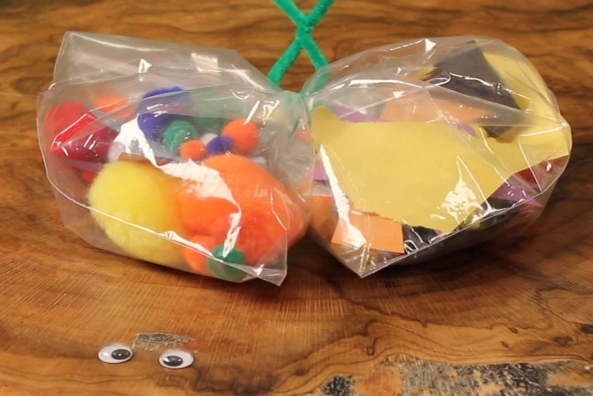 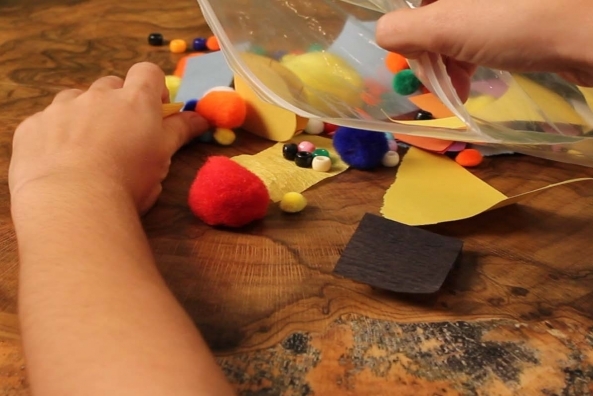 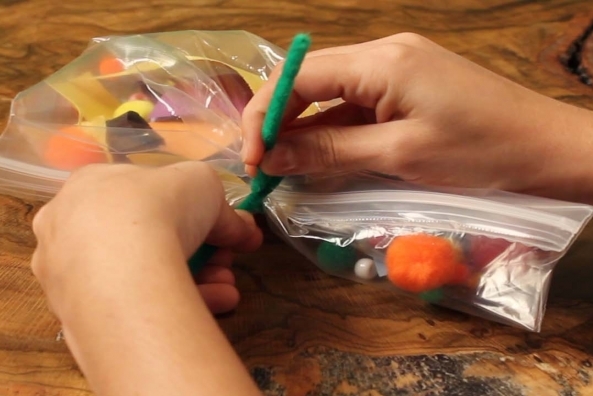 Fill a bag around half-way with all of your paper scraps, some pom poms, feathers, beads, tissue paper, or any other craft supplies you have! 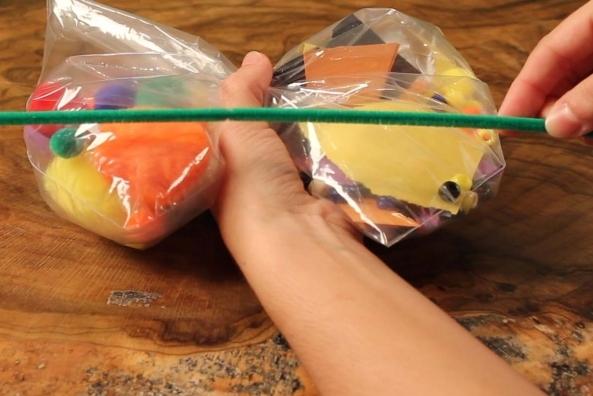 Close the back and lay flat on a surface. 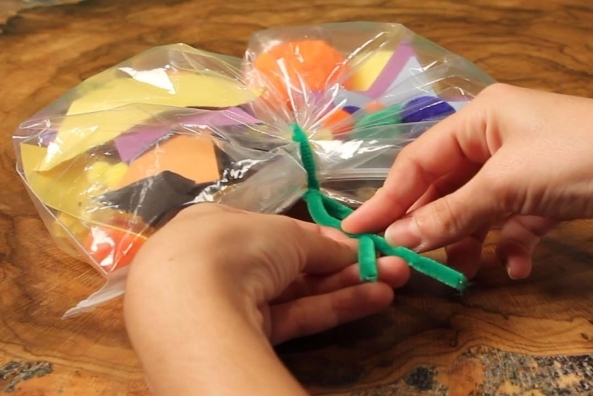 Pinch the center to make two equal sides. 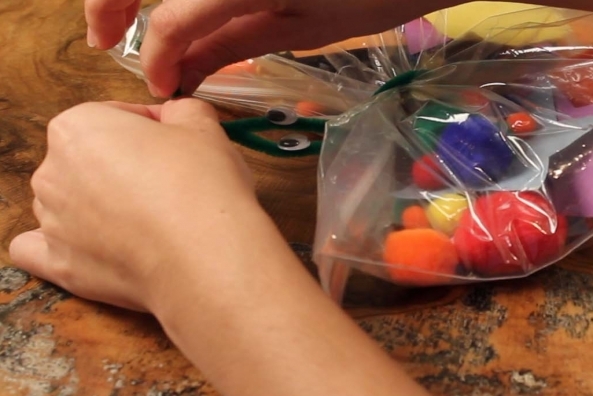 Twist a pipe cleaner around the center. 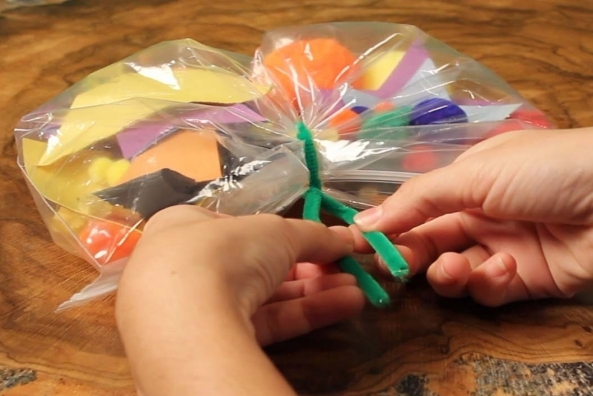 Twist a loop in the remaining pipe cleaner to look like the butterfly’s head. 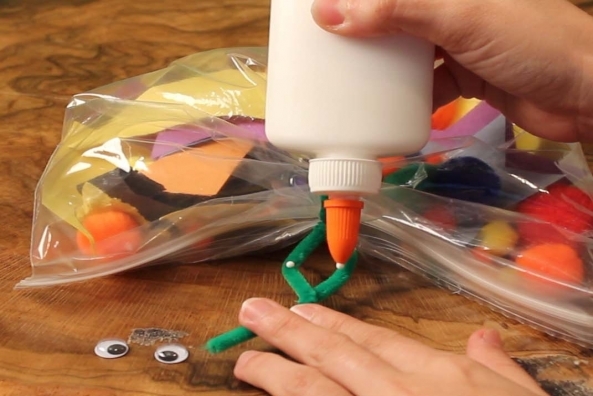 Glue two wiggly eyes onto the loop. 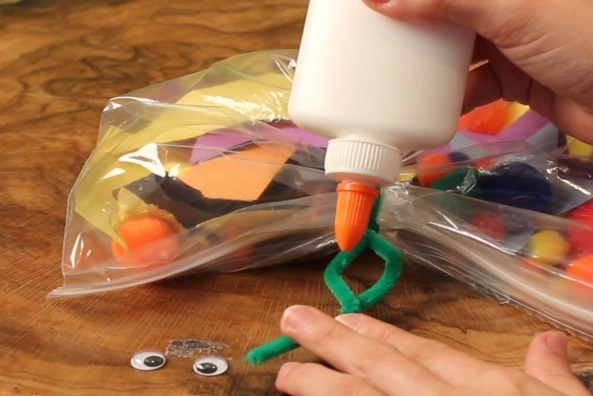 Bend extra pipe cleaner to look like antenna.